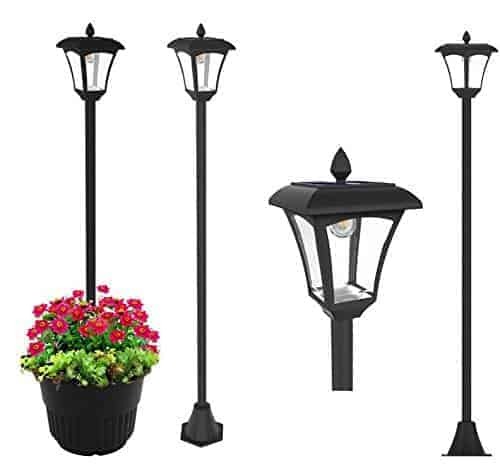 Outdoor solar lights are becoming more and more popular with gardeners and decorators. They are indeed very decorative objects and thanks to their solar panel do not need any more connection as in the past. The first models, which appeared on the market 5 or 6 years ago, were not very aesthetic. Things have changed a lot. 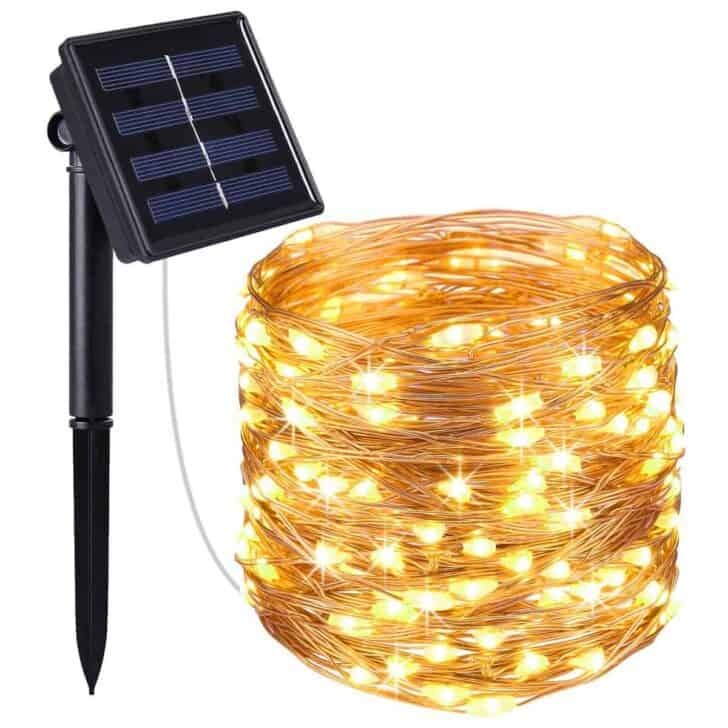 What to think about these solar lamps and especially how to choose them? Review of details. Outdoor solar lights, spring trend? What is a solar garden light used for? Outdoor solar lights: really practical! How to use an outdoor solar light? How a solar light saves energy? Outdoor solar lights: really ecological? 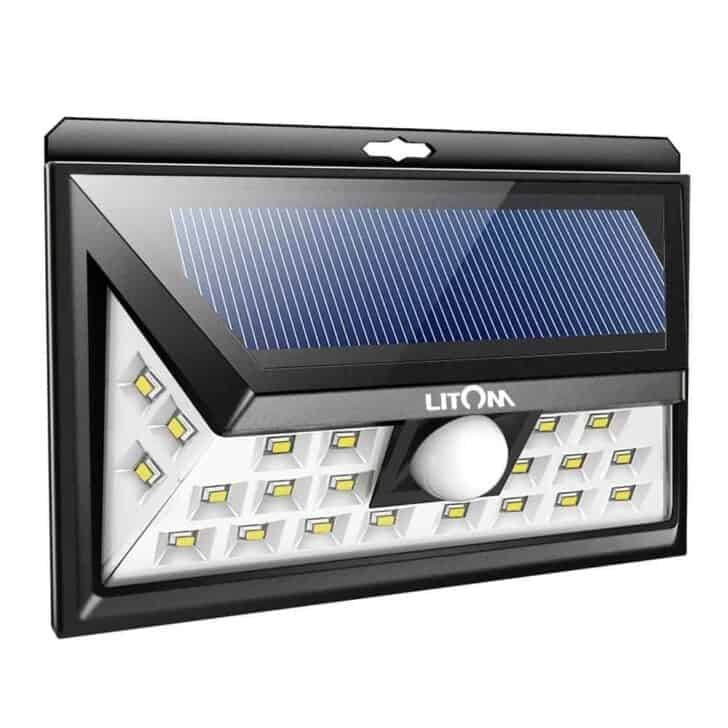 How to choose an outdoor solar light? What to do with an outdoor solar light at the end of its life? With outdoor lights, especially solar garden lights, you can light your entire garden or create more intimate atmospheres. A solar garden lamp allows you to illuminate your garden or the outside of the house in an ecological, economic and aesthetic way. An outdoor solar light is equipped with a small solar panel and a small battery to restore light at night by LEDs. 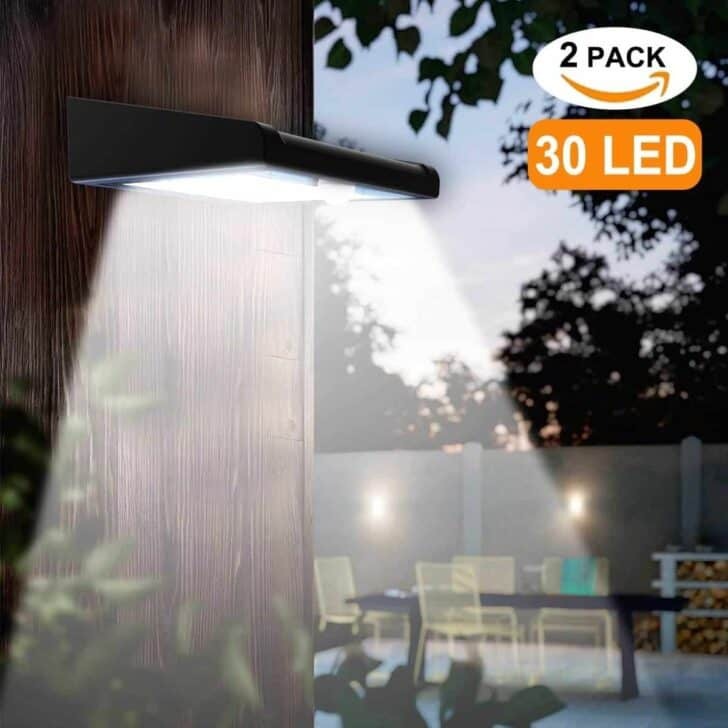 There is a wide variety of outdoor solar lighting for gardens: solar beacons, solar bollards, solar garden lights, solar outdoor lights, solar pool lights, recessed solar spots, and pucks. Clearly, solar lights have many advantages. If you want to light an alley or a terrace, they could well become your best ally because they are extremely simple to install: you do not have any wire from your network since they are completely autonomous. 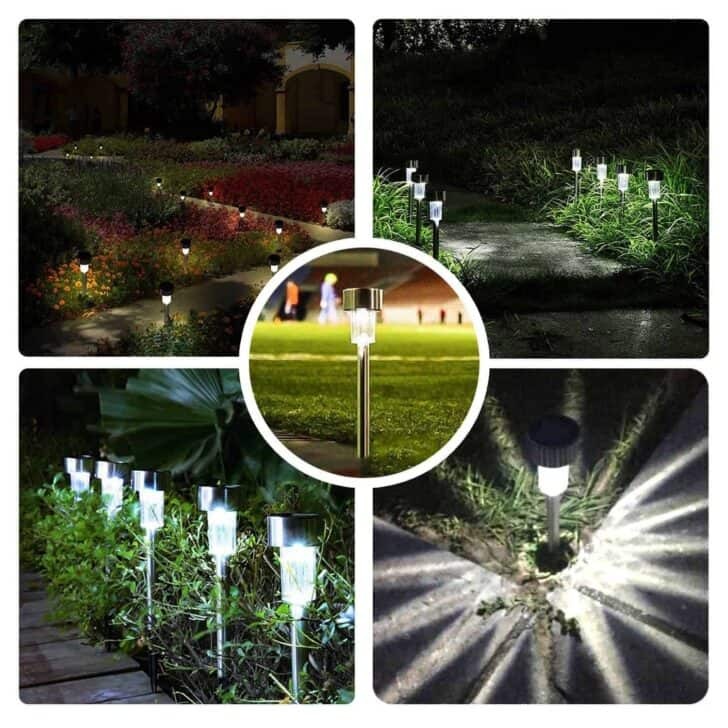 The solar garden lights switch on automatically without your intervention. Solar garden lamps work in all regions... on the sole condition that they have been exposed to light during the day. Tip: going camping? 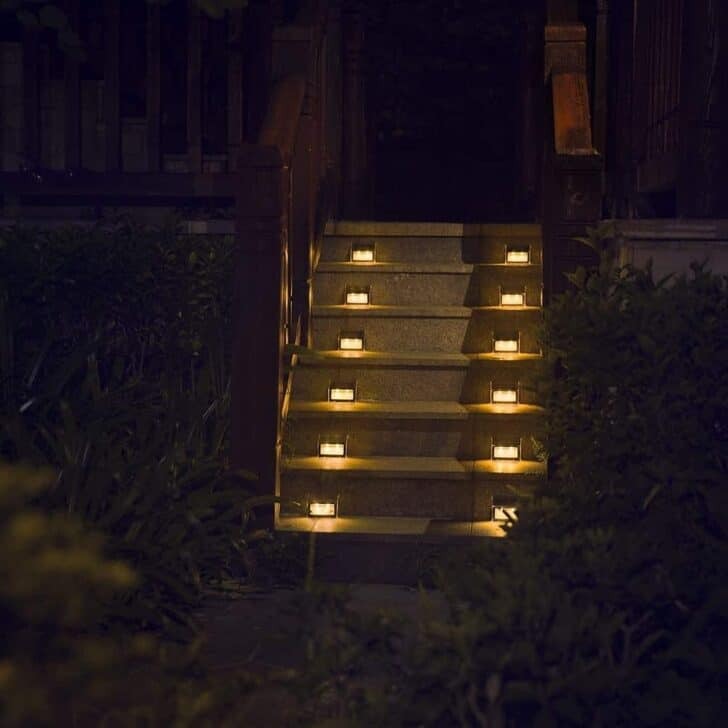 Instead of burning gas lamps, disposable battery lights or making a fire, which is not always possible to enjoy the wake, use outdoor solar lights. Easy and light to transport, they bring you an intimate light without polluting, nor noise. During the day, the sunlight is captured by the photovoltaic sensors integrated into the solar lamp. This energy is stored during the day and released at night to illuminate the LEDs of the solar light, just choose places that are clearly visible and exposed to the sun, and therefore ensure that the solar collector is not in a shaded area. A pleasant garden is created by well-balanced lighting effects. 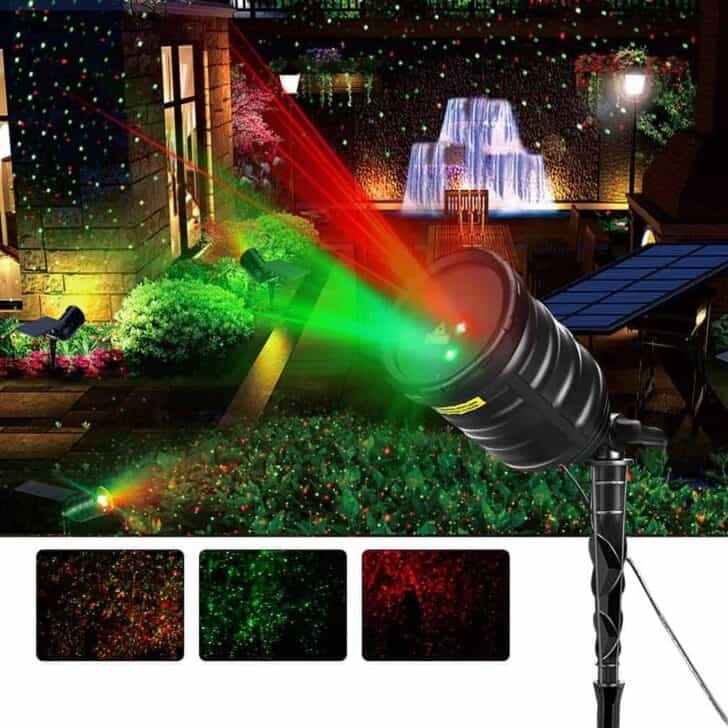 Solar beacons, bollards, wall lights, and spotlights will allow you to decorate your night garden with solar energy with a wide variety of effects. 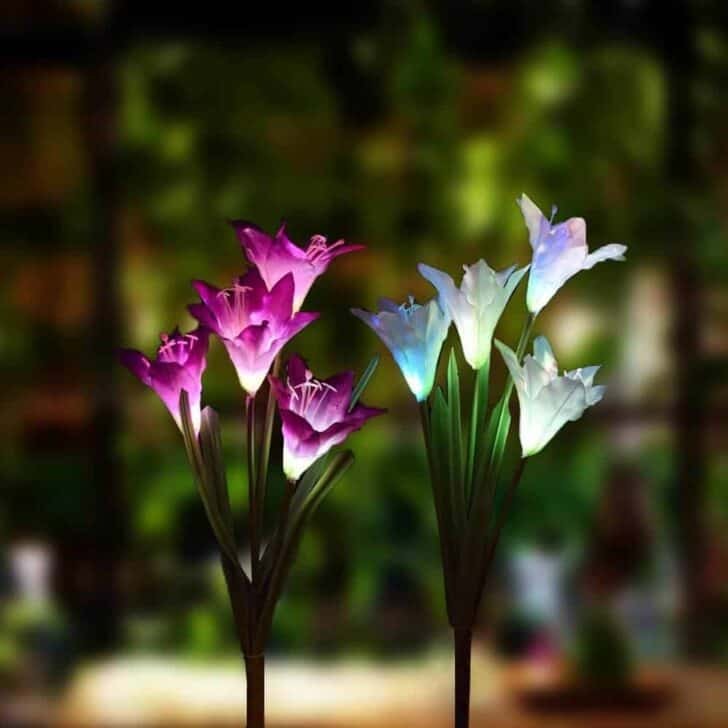 This type of solar garden light model, called, a beacon is perfect for lighting driveways or flower beds. It is often sold in packs of six lamps. Even if photovoltaics reacts to light, it is a mistake to think that daylight is sufficient, it is direct solar radiation that will optimally recharge your solar lamps, radiation perpendicular to the solar panel. This is one of the reasons why solar lamps have less autonomy in winter, there is less sun, the sun's rays are lower and the solar panel should be tilted to about 60° to capture the maximum radiation. 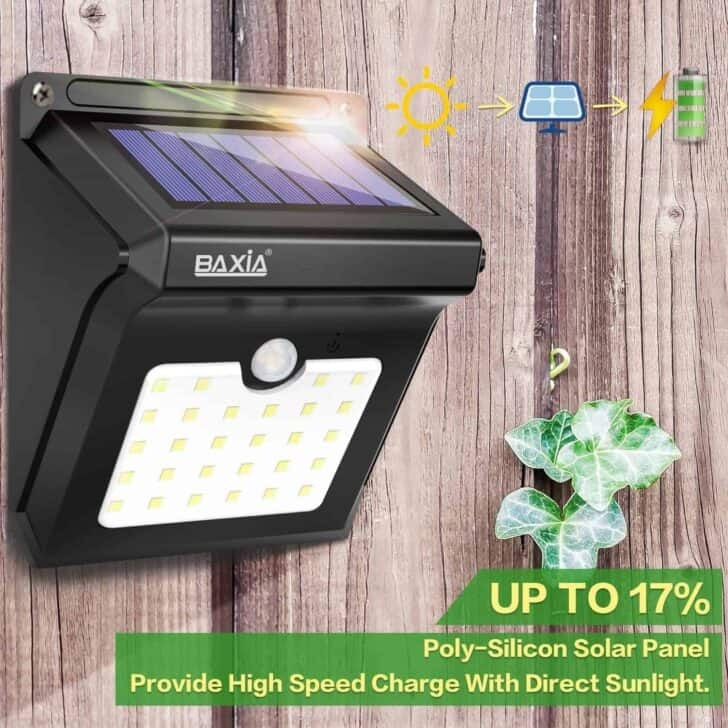 It is necessary to avoid any zone of shade even partial, because the photovoltaic cells in the shade become current consumers, therefore will produce less energy to recharge the batteries of your solar lamp. Clean the solar panel regularly with a damp sponge, especially not abrasive, and water, to maintain transparency and performance. If you plant several solar lights in clearly visible rows, you create lines of light in your garden that dress it after dark. You can take advantage of their automatic switching on and let these light markers appear when the daylight goes down. Be aware that there are also solar lights in the form of animals, perfect to decorate bushes, flower beds, or any other outdoor place. By installing solar lamps, the lighting in your garden consumes no electricity from the grid; you save as much on your energy bill. By using less energy, you also reduce greenhouse gas emissions, for the respect of our environment. 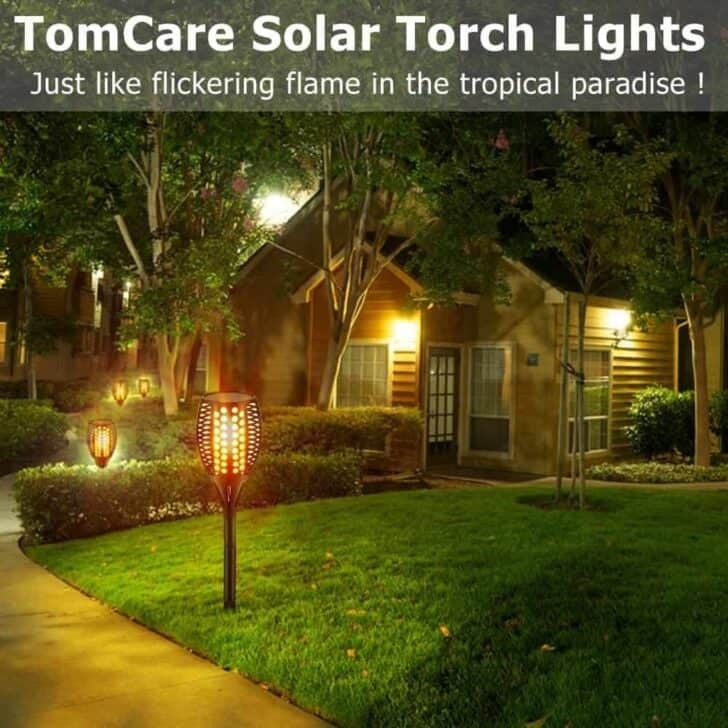 It is very advantageous to replace your conventional lamps with outdoor solar lights. But be careful! Many testimonies show us that we must choose a quality lamp. Most entry-level solar garden lamps sold cheap become ineffective after 2 or 3 years of use. With such a lifetime, the ecological balance becomes negative. Another nuisance to be taken into account is the light pollution that solar lamps can cause if they are constantly on despite the fact that each one illuminates only a limited perimeter. Therefore, models with sensors should be selected that automatically turn them off or on depending on the presence of a person. that she has batteries that can be changed. 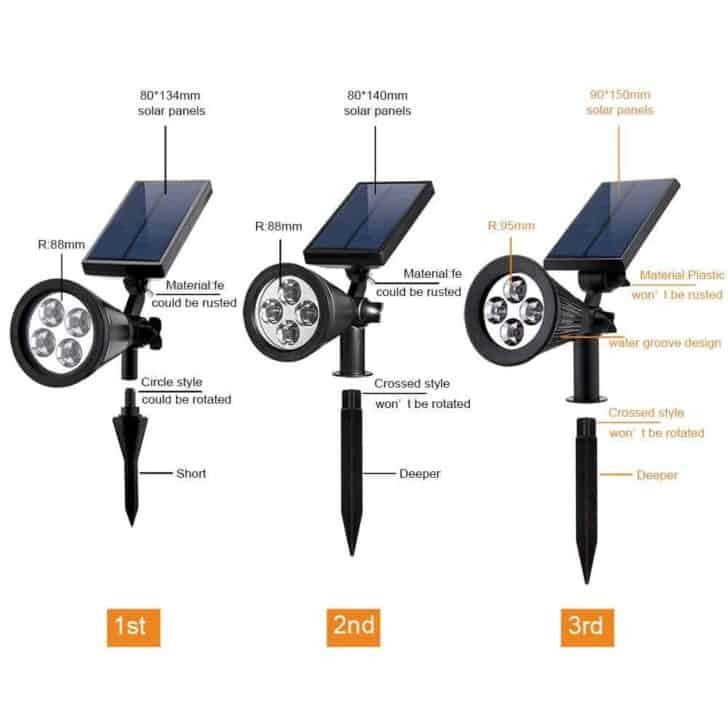 There is a wide variety of solar lights on the market, and it is sometimes difficult to compare their performance and quality: this information is not always given, and photos hardly give the actual picture of solar lighting power. Because very often a batch of several of cheap outdoor solar lights illuminates less than only one powerful solar lamp, with a short lifespan. (oxidation of components). The Luminous intensity of the outdoor solar lights can be indicated to you in Watts Led, the number of Led or Lumens. The most reliable value is the Lumens because the Watts do not reveal the real luminous power, it is the consumption, and the lumens vary according to the quality of the LEDs, ( lumens per watt) the lighting varies according to the angle of diffusion, the diffuser, and the power supply. Based on the lumens if they are indicated, the LEDs of the solar lamps, if their power is not indicated, is mainly 0.06 W per led, equivalent for a led to about 0.6 W incandescent. The question arises in particular for the first generation of garden lamps which reach the end of their life and which must be recycled. These lamps are part of the objects that are considered WEEE, electronic waste, that should not be thrown away with the normal garbage can. Pay attention to the batteries of solar garden lamps as they may contain polluting metals. Bad point, on some lamp models, it is impossible to change them. The operating time and the life of your lamp are then necessarily limited, most often to 500/1000 cycles charge-discharge. So avoid it if possible.